I’m grateful to have you in my life! CELEBRATE these outcomes when we’ve achieved them! One new practice that my family created after this learning was the beginning of our weekly “Magic Moments” family meeting! 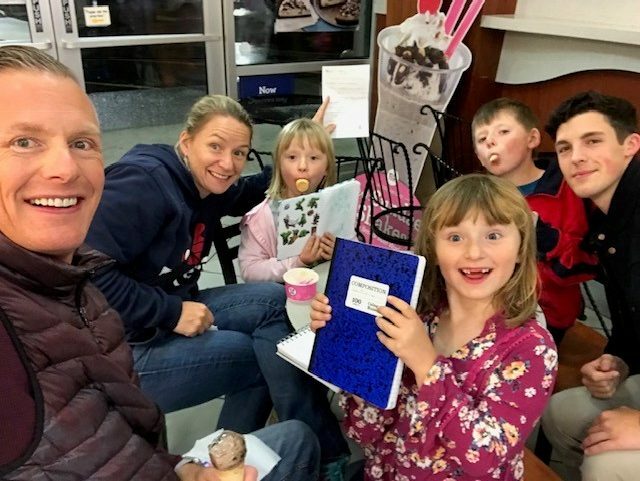 During this family meeting – which we decided to have every Sunday night at 7pm at our local Baskin Robbins – my beautiful wife, myself, and our amazing children share the prior week’s “Magic Moments” that happened to each of them throughout the week! We’ve purchased journals for each family member in which we log each of these Magic Moments! This has been an amazing addition to our routine because it allows us the time to celebrate all of our combined achievements throughout the week…including our own! When was the last time you took a moment to celebrate an accomplishment? I hope you take a moment this Thanksgiving to find a few of your accomplishments! Get a FREE Website Performance Report to find out how your website compares!